Six men have been jailed for between 18 months and six and a half years after scamming Lincolnshire pensioners out of hundreds of thousands of pounds. The scam saw gang members deceive older and vulnerable people on their own doorsteps, pressurising them into paying extortionate prices for shoddy and unnecessary building work on their properties. They used a variety of company names including Tileshield, Tileshield Coatings, Weatherproof and Nationwide Roof Coatings Yorkshire Ltd, to con the victims out of at least £228,000. A victim, who does not wish to be identified, used the company to clean her roof and add a protective seal to prevent moss growth. 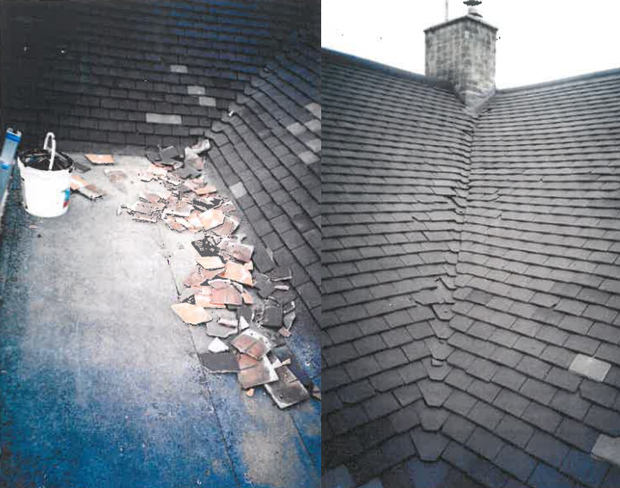 She was shown a video before the work was carried out that indicated plastic sheeting would be used to protect her garden whilst the pressure cleaning took place. She said: “The salesman who knocked on my door was suited and booted and had an official looking van. We also researched the company’s website and it all looked very reputable but we were very wrong. “They did not protect my garden or my neighbour’s and we were both left with horrible black slurry on most of our plants, which killed them. “We believe we only had one coat of protective paint added to our roof and a lot of that was splattered on our drive and fencing. The investigation was originally launched by Kirsty Herbertson, Senior Trading Standards Officer at Lincolnshire County Council, following complaints from elderly residents in the county. She said: “When we started receiving these complaints, the size and scale of the investigation quickly became apparent. It was quite clear that this was a huge project and as such, we referred it to the Trading Standards East Midlands ‘Scambusters’ Team. If you suspect a rogue doorstep trader in your neighbourhood, contact the Citizens Advice consumer service on 03454 04 05 06 or call the police on 101.